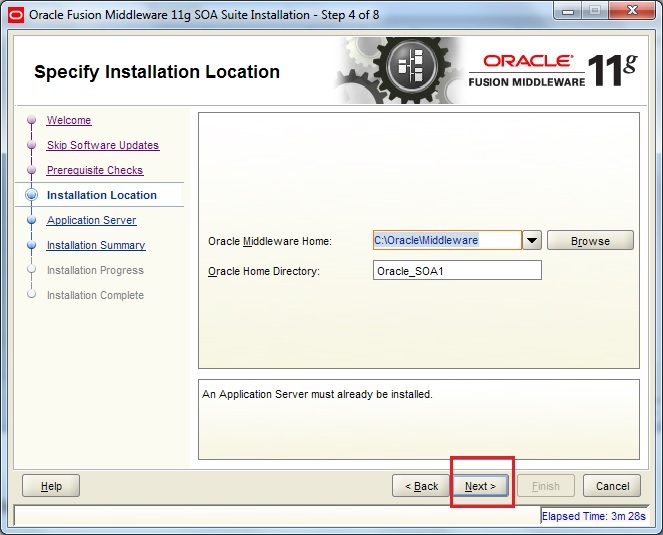 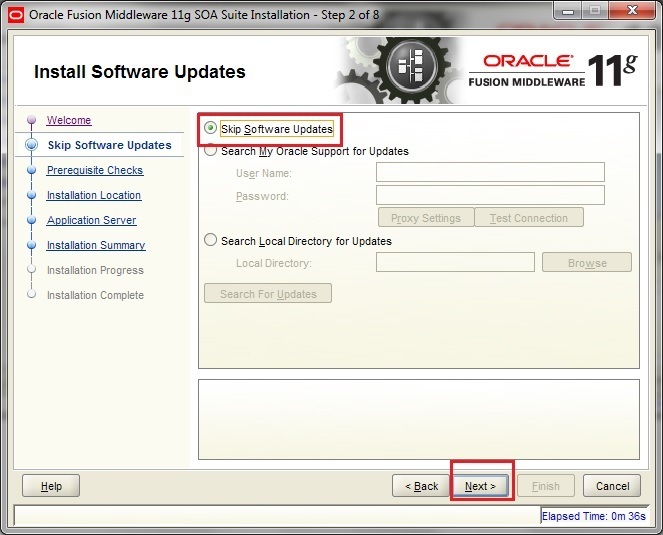 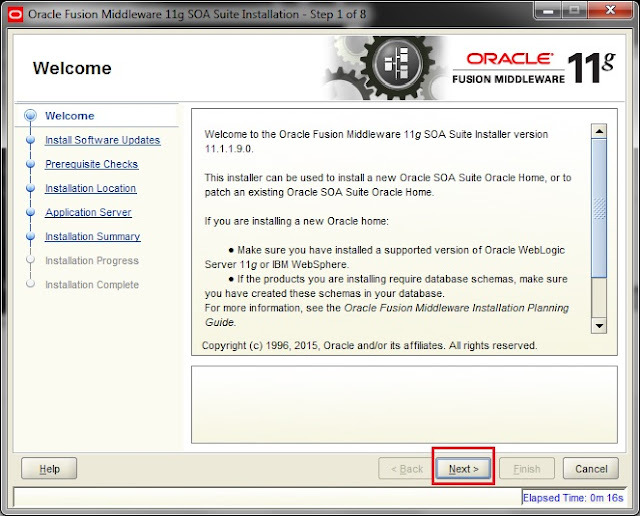 In this lab we are going to see the steps to install SOA Suite for OIM 11GR2 PS3. For overview of the steps click here. Note: Here we are assuming that you have installed the database, weblogic and created the schema by running the RCU. 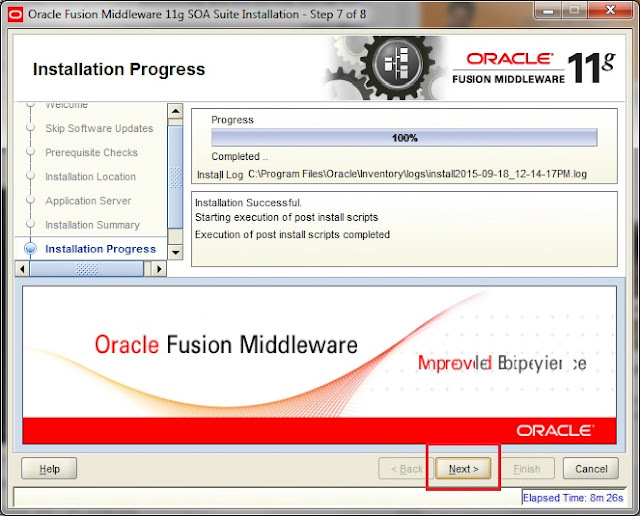 Also java is already installed. 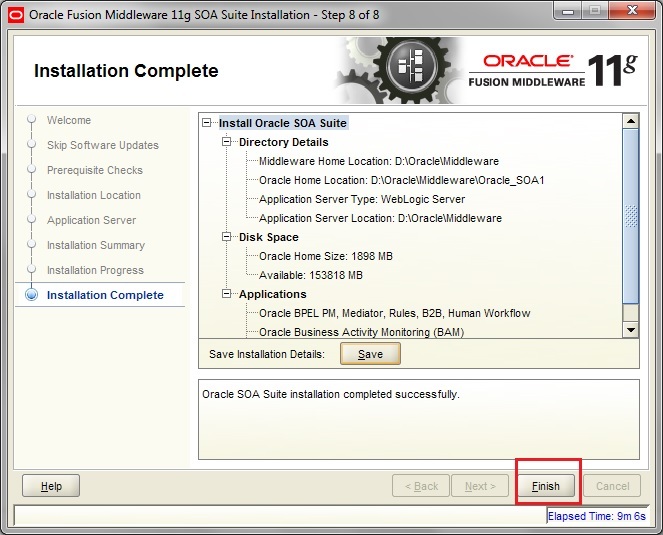 Lets see the steps to install SOA Suite. 6) Select weblogic server and click Next. 7) On the screen click Install. 8) Wait for installation to complete 100%. Once done click Next. 9) At last click Finish.